BENZ STAR C3 Super Mb star V2015.9 Updated with SDNC and Self-test Fix Function! Super MB Star is a new version of Mercedes Benz diagnostic tool. It covers Benz cars from 1989 and it can be updated in the end of customer side. The newest software version updated to V2015.9. A: This fix is for SUPER MB STAR C3 2015-9 Software ONLY!! B: The password for the software installation is 123133322. This entry was posted in Appareil De Diagnostic Professionnel, MB Star C3, Mise à jour Nouvelles and tagged Benz Diagnosis, benz diagnostic tool, Benz key programmer, french obd tool, mb star, truck diagnostic tool on November 30, 2015 by sales. 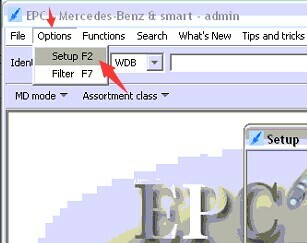 How to set Mercedes Star diagnosis New Mb Star C3 Pro WIS,ASRA and EPC language to be French? New Mercedes Benz Star C3 is a professional and good diagnostic tool specially for mercedes benz cars. Mercedes Benz Star C3 can do benz trucks and new types of mercedes cars. Super qulity, easy to take at hand. Most of the people know that the Mercedes Benz Star C3 can support multi-language. But they do not know how to change the language setting. Follow the picture bellow to do. Then you will find the way to change it. This entry was posted in Appareil De Diagnostic Professionnel, MB Star C3, Soutien technique and tagged benz diagnostic tool, Benz key programmer, french obd tool, mb star, truck diagnostic tool on September 15, 2015 by sales. Three Reasons for the MB Star C3 Multiplexer Failed Problem! 1. Change the time of your laptop to current time. 2. 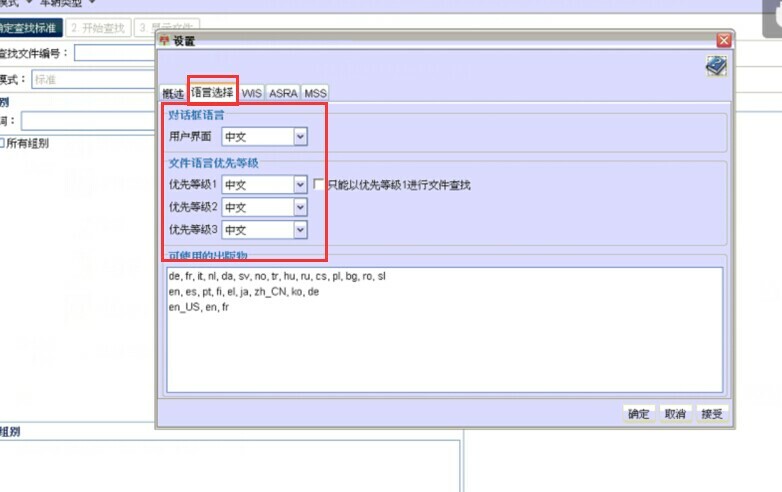 Delete the file lic-key2.dat in Disk C【Patch C:\Documents and Settings\All Users\Application Data\LicDir】, and pass us the ID to activate again for you. 3. Make sure you pass us the correct HW-ID and APP ID. About the other question, check on: http://www.eobdii.fr/wholesale/mercedes-star-diagnosis-new-mb-star-c3-pro.html. This entry was posted in Appareil De Diagnostic Professionnel, MB Star C3, Soutien technique and tagged Benz diagnsotic tool, Benz key programmer, french obd tool, mb star, truck diagnostic tool on August 5, 2015 by sales.